How can B2E Leadership Services help you? B2E Consulting places strong emphasis on engaging and aligning employees and leaders thereby maximising performance and profitability through better implementation, customer focus, cost efficiency and brand building. The effective implementation of day to day activities presents its own challenges and commonly accepted performance benchmarks in many organisations operate well below their potential. Where the organisation is put under increased pressure, e.g. during times of change and transformation of any type, the risks of ineffective implementation and lost performance multiply. The “risk of lost profit” is a clear and current risk most organisations do not consider but investors are now focusing in on these shortfalls. How will Leadership Services help you? We offer outstanding value to our clients by providing a breadth and depth of management consultancy services from a single source whilst combining the best aspects of a ‘bricks and mortar’ consultancy with the cost effectiveness afforded by a web-enabled business. Our approach ensures our focus remains aligned to our client’s agenda; we are flexible, responsive and dedicated to delivering cost effective solutions. We drive quality outcomes by only selecting professional consultants with the depth of experience needed to excel on our projects. The B2E Consulting Principals use our proprietary Consulting Network to access well over 20,000 high calibre, expert consultants to build our project teams. Our scale means that we are able to build teams of genuine Leadership experts, usually with more than 10 years relevant experience, to help support client initiatives and ensure we fully understand the client’s goals, content and context. We partner closely with the client to deliver quality solutions and value for money. 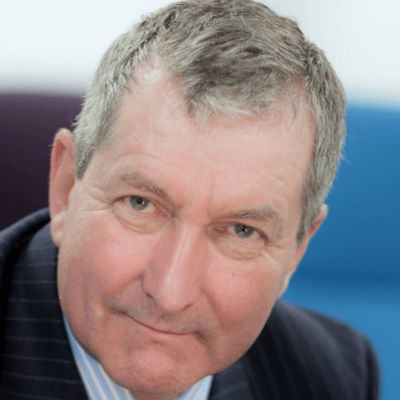 Chris Roebuck has been a leader in the military, business and government holding senior HR roles in UBS, HSBC, KPMG & London Underground and worked with law firms, the UK NHS, construction and other sectors. During his time as Global Head of Leadership at UBS the strategic transformation implemented became a Harvard Case Study on best practice and won UBS Best Company for Leaders and numerous business awards. Profits increased by 235% with a 5% head count reduction. Chris is also Hon Visiting Professor of Transformational Leadership at Cass Business School.